Make sure your schnauzer is represented on your holiday tree when you hang this adorable pet ornament on it! You can use and cherish this special decoration year after year as you celebrate Christmas with your entire family. 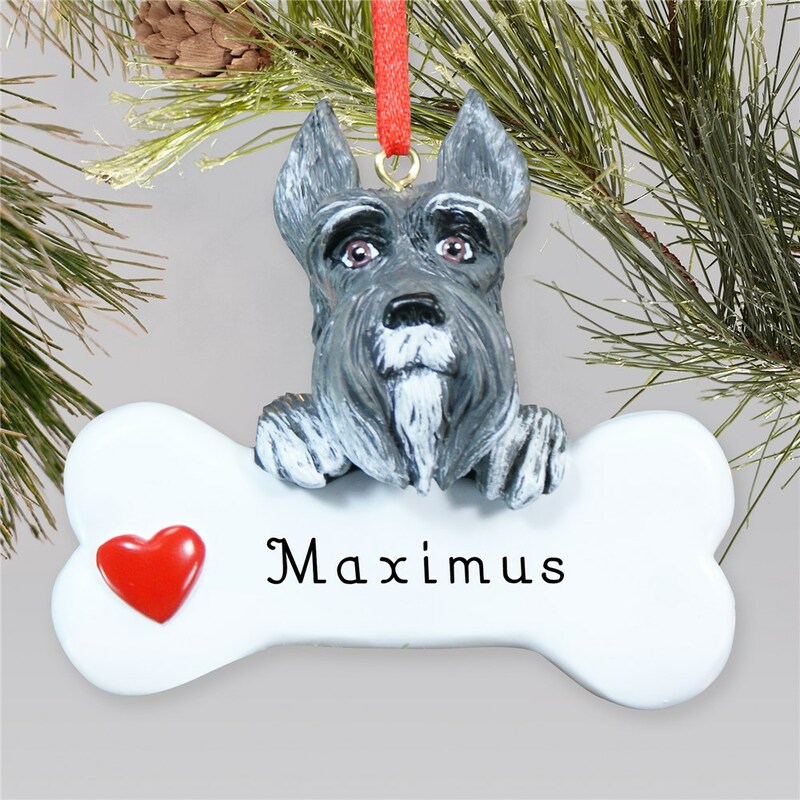 These Schnauzer Personalized Pet Ornaments are made of resin and measures approx. 3 1/2" W x 2 1/2" H and comes ready to hang with a red satin ribbon loop. Free personalization of any name is included on this lovable dog's bone. Additional Details Give your friends and family who are proud schnauzer owners this ornament as a personalized gift this holiday season. They'll love having something special and personal to decorate their tree with. Our Engraved Shih Tzu Ornament is great for proud shih tzu owners!